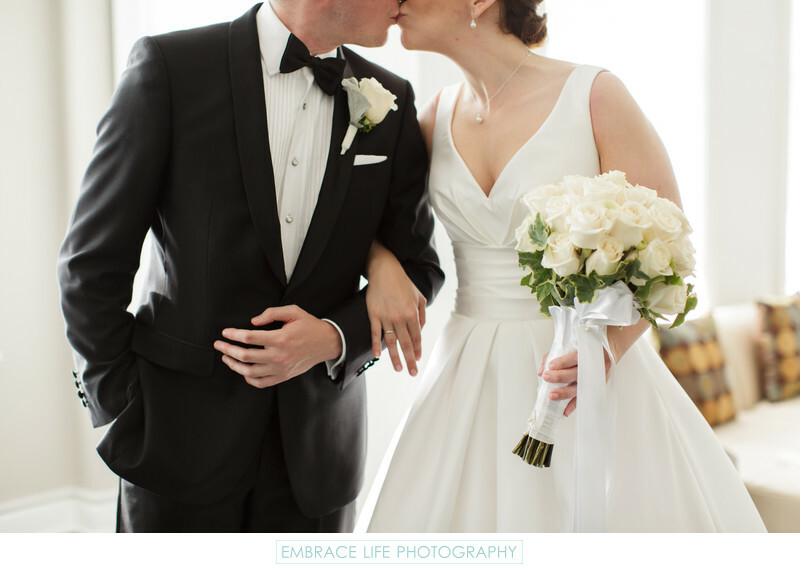 A beautiful bride and groom pause to share a tender kiss in the Royal Suite at the Four Seasons Beverly Wilshire before their wedding ceremony on the rooftop of the Beverly Hills wedding venue. The groom, looking sharp in his tuxedo and black bow tie, is the perfect compliment to the elegant bride wearing pearls and holding a bouquet of white roses with long, white, satin ribbon. Location: 9500 Wilshire Boulevard, Beverly Hills, CA 90212.